These resources and links are relevant to the field of structural engineering and may be of interest to you. These profiles were contributed by members who submitted them for publication in SEAMASS NEWS. 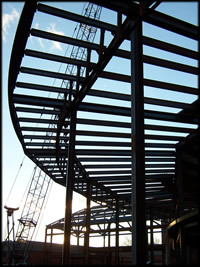 A complete list of Structural Engineering Associations is listed on the NCSEA website. The Engineering Center provides educational programs and information services to engineers, land surveyors, related professionals and the public.